Thank you to the entire TsunamiCon team for being so generous with their space and time. 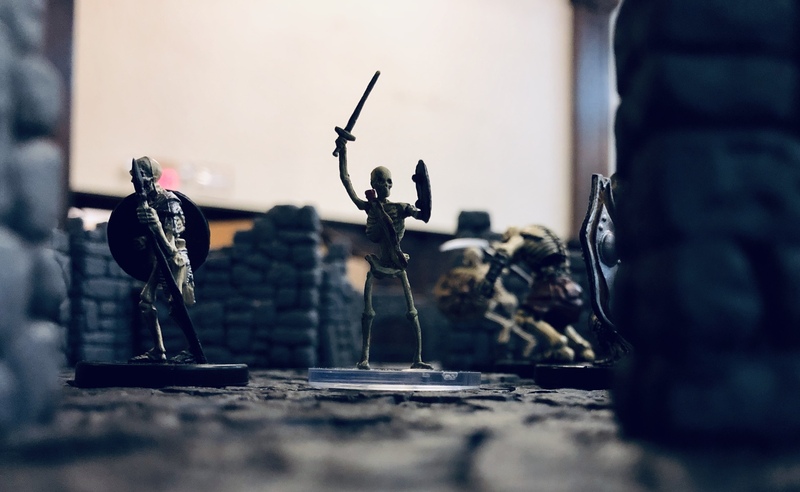 Last week, at the convention, I ran demos of The Fantasy Trip where players entered the dungeon and fought giant spiders, orcs, an ogre, and far too many skeletons. 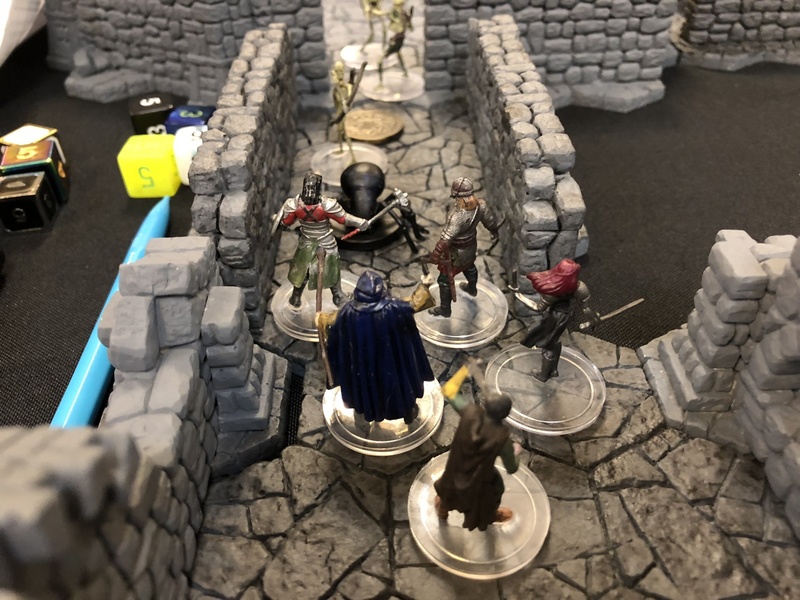 The demos used pre-painted plastic minis and the Hirst Arts dungeon terrain that we've shared before, and we stuck with the basic Melee rules to give the players a fast-to-play introduction to the game's combat system. The players picked up the game quickly, and the demos gave me a few ideas for more tools that will make teaching it even easier. Time to design some playtest components and give these new ideas a shot! I also used Norse Foundry "dragon" coins in the demos, with one session seeing the party start snatching the coins; the player character to exit the dungeon with the most coins was the winner. (Little did they know that skeletons spawned in the dungeon as coins were snatched, forcing the party to work together to defeat the skeletons instead of simply grabbing the coins and running away.) If I could have had access to them, our new metal Illuminati Coins would have also worked great in the game. We also learned a lot about the transport and care of our new demo terrain, so now we'll take that knowledge and improve our demo processes before next month's Gamehole Con events.